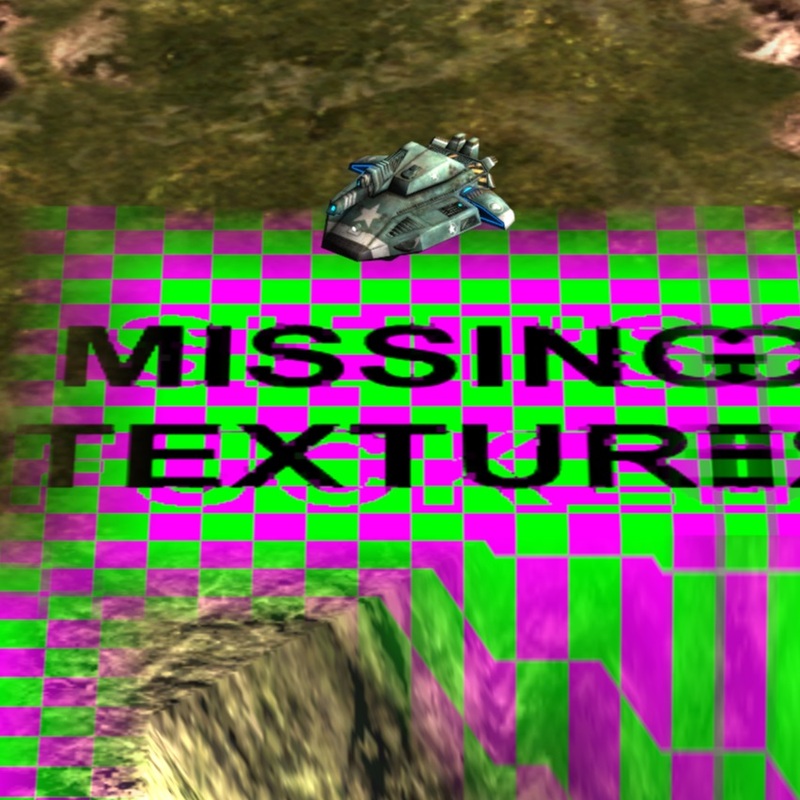 A set of replacement terrain textures with a special garish pink-and-green tile to indicate where maps fall back to the default world texture. The new atlas system is fantastic, and its handling of missing textures is much kinder to the eyes of the player. Unfortunately, it's not so kind to the sanity of the modder. Players, steer clear; this mod changes that missing texture handling to swap it from the default world texture to a garish, easy-to-see, violent green-and-magenta checkerboard. This is not something you should ever want to see. Modders, if you want an easier way to spot the places where your autopaint needs some manual touch-up then this is the mod for you. The creator accepts no responsibility for retinal or psychological damage caused by prolonged exposure to these textures; it's your job to get rid of them. Fully compatible with both Battlezone 98 Redux and Battlezone 98 Redux: The Red Odyssey. Steam users, please visit the Steam Workshop page.